Scrapyard. 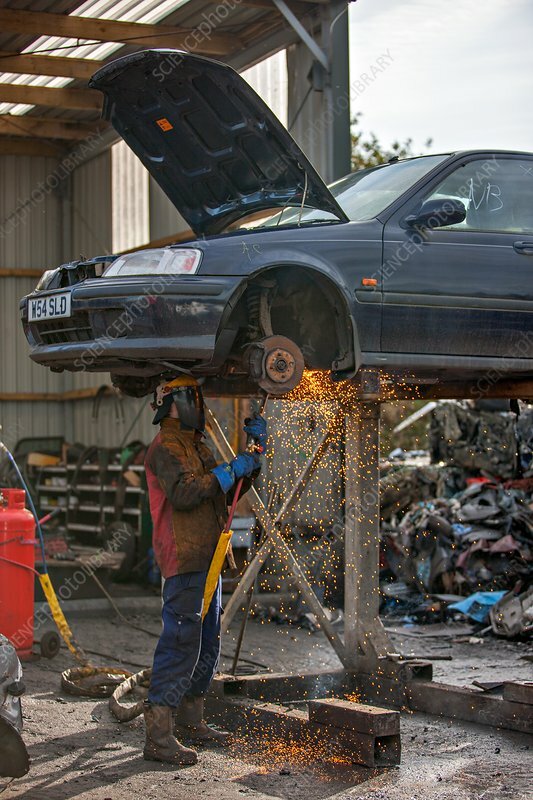 Car being dismantled prior to the shell being crushed at a scrapyard. Photographed in Scotland, UK.